Two beautiful spheres in Sterling Silver Wire are so airy that you will bearly notice that they are hanging from your ears, but everybody else won´t. 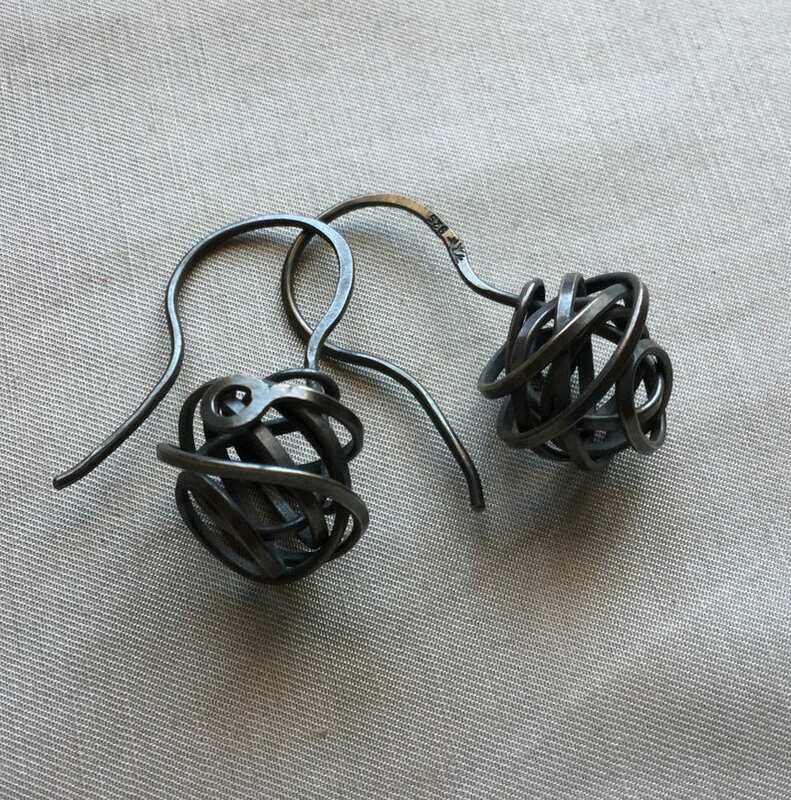 These have been aged with a patina to give a metallic black appearance to the sterling silver. No two are exactly alike. Total length of approx. 1 1/2 in. (36 mm) long, the spheres measure ca. 1/2 in. (16mm) diameter.